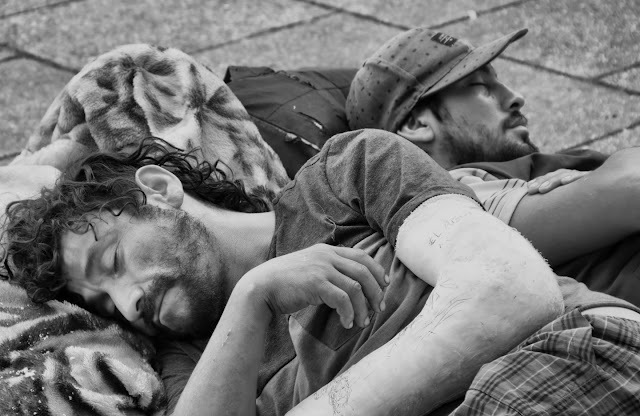 Two men sleeping outside the church of San Francisco in Santiago. But I loved these faces -- even better in black and white -- and after thinking about it, I walked back and took the picture. I did leave some money in their jar as a thank you.